I am impatiently waiting to tackle my Grass Feature in my front garden. It is now a clear patch – I had to remove all the stones I had placed for my ‘dry river bed’ feature, because we had to dig this weekend two big holes for our two Leopard trees. I never thought it was going to be such mission. The ground was rock hard and impossible to penetrate. We had to throw water overnight to soften the hard, clay soil. Well, to my dismay – we still have to finish the holes. I did, however, get bags of compost and mulch and a weed guard this weekend, so hopefully my garden will be beautiful before the Easter Weekend. Hold thumbs!! 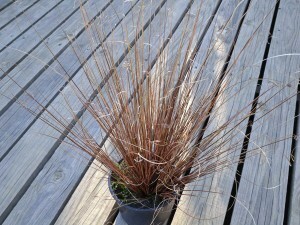 In the meantime, I’m going to share with you the grasses I bought. I had to do some research to ensure I position them all correctly, depending on their final heights and spreads. 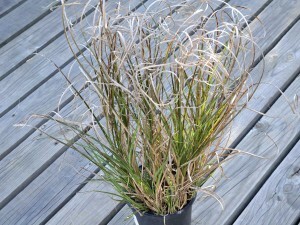 I have seen some gorgeous images on the web, so I have bought some really stunning grasses! 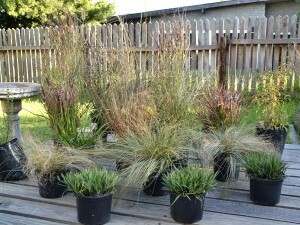 I will add the photos and describe each grass below. Miscanthus sinensis Gracillimus only produces plumes every 3 or 5 years. One of the tallest ornamental grasses. The height of its foliage reaches 80 inches and,when in bloom, the beige plumes increase that height to 100 inches. 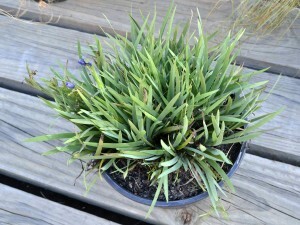 This is a compact plant with a spread of 32 inches wide and is hardy. Grow this plant solely for the height of it foliage, and consider the plumes an occasional bonus. Sisyrinchium angustifolium, blue-eyed grass. 10″. Blue-eyed grass grows in tufts of flat, grass-like foliage with little clusters of blue, star-like flowers. It is not really a grass but a member of the Iris family. 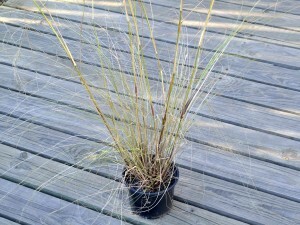 Calamagrostis × acutiflora ‘Karl Foerster’ feather reed grass – A stiff, erect habit is the defining feature of this grass, named after the famous German plantsman who introduced it to the public in the 1950s. Plant it en masse to form a feathery screen, or in small groups to add height and definition to a perennial border. Full sun or partial shade, grows very fast, hardy and flowers early summer to autumn. This is one of the earliest perennial grasses to get going, with shoots appearing in early spring, followed by flowers that are green first, then fade to buff. Eventual height 1.8m and spread 0.6m. Eragrostis curvula ‘Totnes Burgundy‘ love grass – A Beautiful mound-forming perennial grass with arching leaves that turn wine-red as they mature. In late summer and early autumn it produces masses of grey, nodding spikelets. 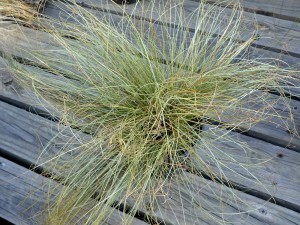 A fabulous new ornamental grass that looks great grown in a sunny border. It copes well with drought once established and the flowers look lovely in dried flower arrangements. Full sun and a hardy grass. Eventual height is 90cm and spread 90cm. Panicum virgatum ‘Shenandoah’ switch grass -Easily mistaken for Japanese Blood grass (Imperata cylindrica Rubra), this grass starts off with green, strap-like leaves that turn red at the tips in June, and produces light, airy flower panicles in summer. In autumn, the foliage turns a spectacular deep burgundy. 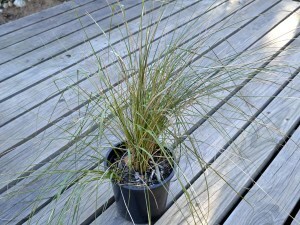 It likes full sun, and unlike Imperata, can cope with dry summers. 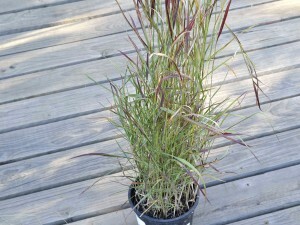 Try it in small groups among taller grasses, or against tall perennials. Height 90cm and spread 90cm and is a slow grower. 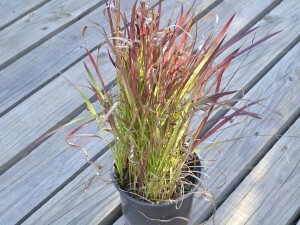 Imperata cylindrica ‘Rubra’ blood grass (syn. Red Baron) – Blood-red spikes that fade to bright green at the base and become transluscent with age make this grass a spectacular addition to the perennial border. It takes a while to strut its stuff, but in late summer, it shines like a jewel before it dies back. 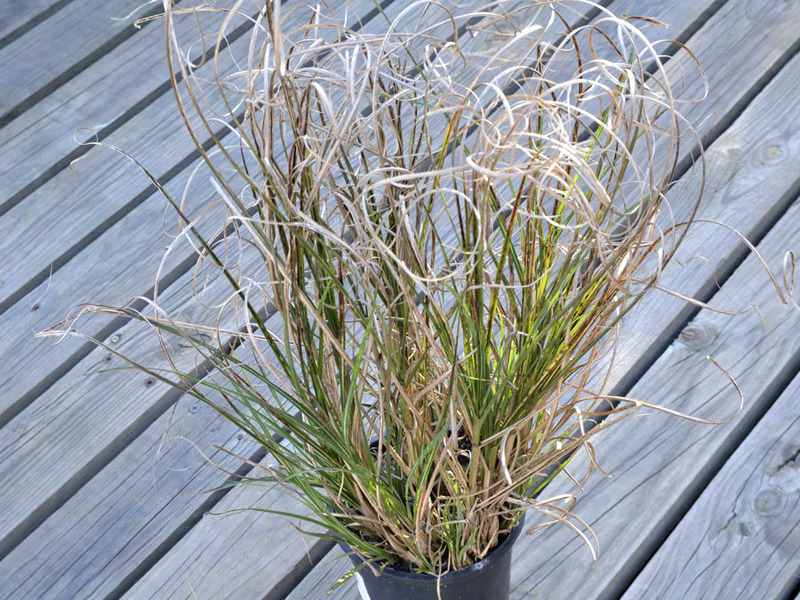 Imperata cylindrica is particularly effective planted with other grasses, or shown off in a container. Evenutual height is 40cm and spread is 30cm. Full sun or part shade, slow to grow. Carex is a genus of plants in the family Cyperaceae, commonly known as sedges. 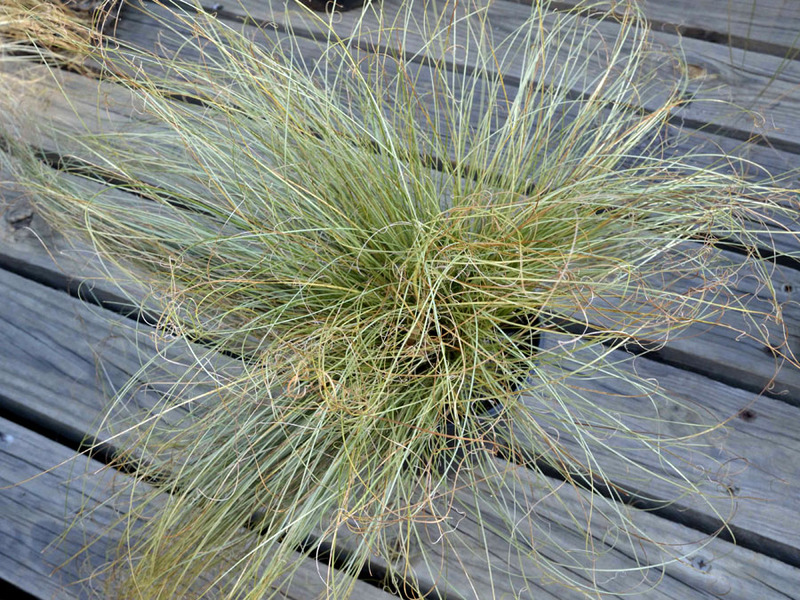 Most (but not all) sedges are found in wetlands such as; marshes, calcareous fens, bogs and other peatlands, pond and stream banks, riparian zones, and even ditches; where they are often the dominant vegetation. Is Red Buttons a smaller variety? I had a red Pennisetum bought at Rustenberg Rare Plants. Which rather frightened me by roaring up to shoulder height. Put it in pots, and it died. I am looking forward to seeng the final display. You have chosen such a variety of grasses–some of which I was not familiar. It’s going to look like a beautiful meadow. Absolutely! I want to have hills and valleys (but in minature) – it will all happen this easter weekend! This is going to be fantastic! A couple of notes from my own experience. 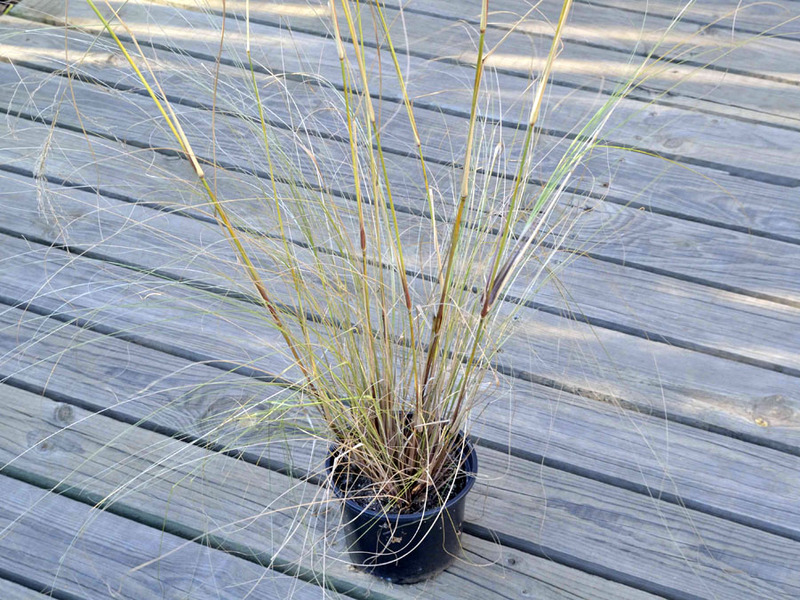 Gracillimus is the largest grass I grow, and it’s at least 36″ wide at the base — the arching blades make the plant at least twice that width though (search my blog for “miscanthus” for photos. I can send you more photos for scale if you want. 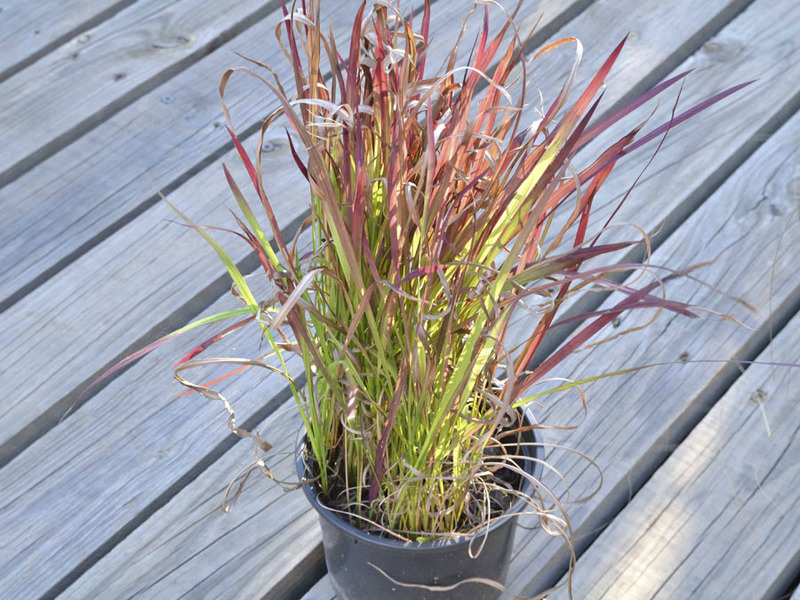 The ‘Red Baron’ blood grass will keep spreading indefinitely, but not uncontrollably. You have a nice selection there and quite a few beauties. Is your plan to group them? It sounds like you have big plans and loads of work ahead. Hole digging is no fun in clay, especially big holes like for trees. Barbie, this is going to be so spectacular!! 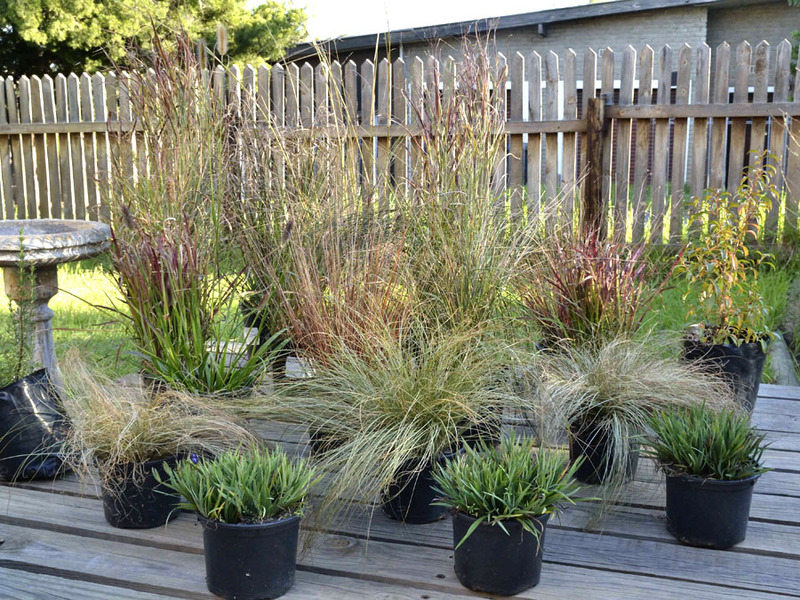 I LOVE the grasses you chose and think it is going to look absolutely stunning! I can’t wait to see it all done! !